This is an unusual aluminum ice tray! Bottom part has a texture type finish, pull handle is marked Westinghouse. The unusual part? Tray and ice maker are a pretty gold color! In great condition with only minor wear on bottom (underneath). Neat Item! These are interesting items! 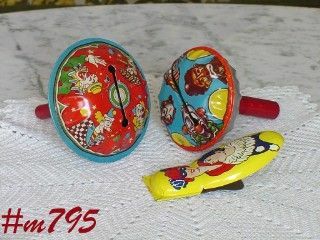 This listing consists of 2 round metal noisemakers with red wood handles and a metal "clicker". One noisemaker is 3 1/4" diameter, has beautiful colors -- clown faces, happy and sad. Marked: US Metal Toy Mfg. Co, Made in U.S.A. The other noisemaker is larger, measures 4" diameter, also has beautiful colors -- clowns (from waist up). This one is not marked. 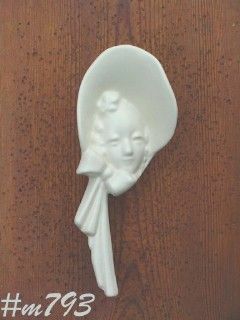 This listing has a mint condition Haeger wall pocket -- this is the lady in her Sunday bonnet! Wall pocket measures 10 1/8" long and 4" wide (at widest). It is a pretty matte white color and the mold details are excellent! 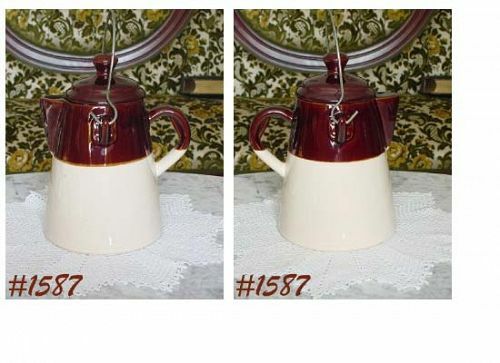 This is a very pretty McCoy Pottery cookie jar shaped like a large coffee pot! The lid and top portion of jar are a rich, warm brown color while the remainder of the jar is a creamy color. Cookie Jar has a bale handle -- more for appearance than for use because the jar is heavy. It is a large jar -- measures 8 1/4" tall to jar top rim and a total of 10 3/4" tall from bottom of jar to top of lid's knob type handle. 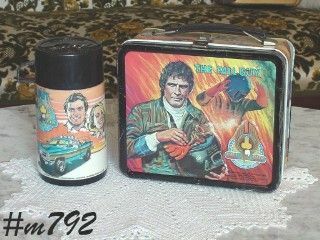 This is the nicest McCoy Timmy Tortoise cookie jar I've seen in a very long time! The jar is a warm, honey amber color and bottom is marked 271, McCoy, Lancaster Colony (mark), USA. It is in wonderful condition -- has a teeny dot size ding (flea bite) on bottom of one foot, a couple small rubs on the butterfly's cold paint,and a production mark on dry ring of lid -- all of no consequence! 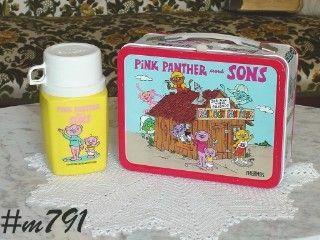 Cookie jar is in the original box and the box is also in wonderful condition! This is not the usual McCoy sailor bank! This is a company second that would have been taken home at end of the day -- which in itself adds to its collectible status! Bank has no structural flaws, they are all cosmetic. I have seen these referred to as “blanks” but this one has first firing glaze.The glaze is an off-white, cream color (first firing), doesn't have the final white color glaze. BEAUTIFUL MCCOY VASE! 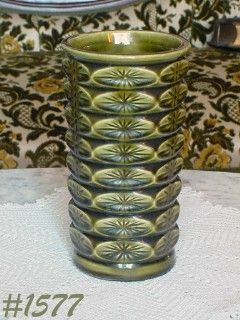 MEASURES 8 1/4" TALL, 4 1/2" DIAMETER AND IS IN A PRETTY GREEN COLOR WITH SHINY GLAZE. HAS AN OVAL STARBURST (OR DIAMOND) TYPE DESIGN. VASE IS IN WONDERFUL CONDITION -- HAS A COUPLE SMALL (1/32, 1/8) DINGS ON BOTTOM AND A PRODUCTION GLAZE SKIP ON RIM EDGE -- NOT DETRIMENTAL IN ANY WAY. VASE IS MARKED USA. THIS IS A STURDY VASE THAT WILL HOLD A LARGE BOUQUET AND NOT TIP OVER! VERY NICE. 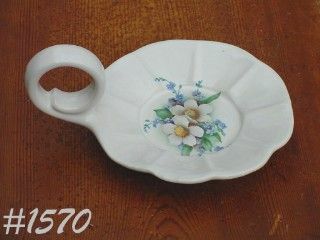 This listing has McCoy Cope Original "Caravelle" candy dish! 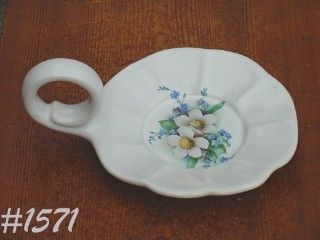 Produced in 1965, dish measures 9 1/8" long and 6" wide. 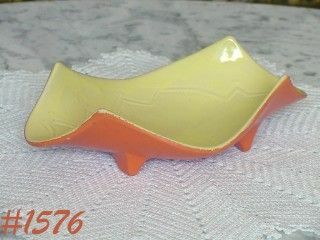 It has a yellow interior with an in-mold, very decorative design, and has a shiny over-glaze. The exterior is orange color with a matte finish. Caravelle candy dishes have an interesting shape -- each corner is raised. The design has an art deco style. Candy dish is in mint condition -- it has no chips, no dings, no cracks, no crazing! 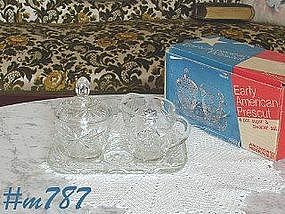 EARLY AMERICAN PRESCUT 4 PC -- IN BOX! THIS LISTING IS FOR A 4 PIECE SET OF ANCHOR HOCKING EARLY AMERICAN PRESCUT. SET CONSISTS OF: SUGAR WITH LID, CREAMER AND TRAY. 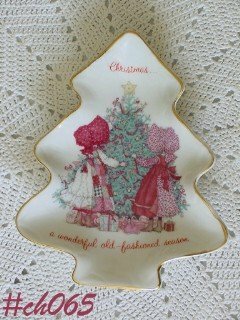 (I USE MY EAPC ITEMS AT HOLIDAY TIME AND USE THE TRAY FOR SLICED CRANBERRY SAUCE -- PERFECT SIZE AND SHAPE!) ALL PIECES ARE IN MINT CONDITION AND ARE IN THEIR ORIGINAL BOX. SUPER! 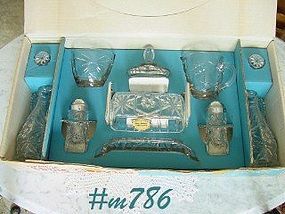 THIS 11 PIECE SET OF ANCHOR HOCKING'S EARLY AMERICAN PRESCUT IS MINT IN ORIGINAL BOX! CONSISTS OF: VINEGAR AND OIL CRUETS WITH STOPPERS, SALT AND PEPPER SHAKERS, CREAMER AND SUGAR WITH LID, AND COVERED BUTTER DISH (STICK TYPE BUTTER). 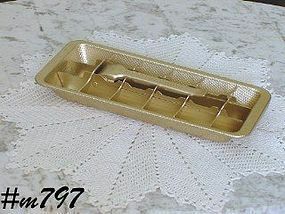 BUTTER DISH HAS ORIGINAL GOLD FOIL LABEL: ANCHOR HOCKING, EARLY AMERICAN PRESCUT, LANCASTER, OHIO, U.S.A. THESE ITEMS ARE BEAUTIFUL ON A HOLIDAY TABLE! 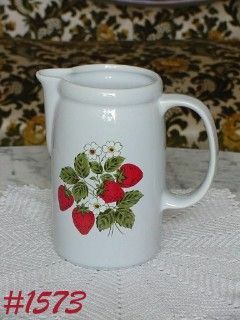 This listing has a beautiful McCoy pitcher from the Strawberry Country dinnerware line! Pitcher measures 7" tall, 3 5/8" diameter and is marked on bottom: 1429, McCoy, Lancaster Colony (mark), USA. 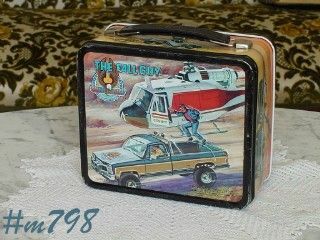 It is in mint condition -- no chips, no dings, no cracks, no crazing. Decal is bright and unmarred -- pitcher looks new and unused! 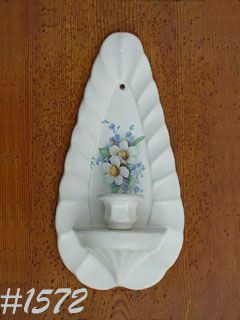 This listing has a wall sconce candle holder from McCoy's lovely Floral Country line! It measures 11 1/2" long, 6" wide (at widest), and is in wonderful condition. The only "use" evidence is very light wear to a few of the leaves on the floral decal. It has a 3/16" production stress on back edge -- typical McFlaw and regularly found on these items due to the shape. Do note that the glaze finish on this one is a little different in that it is matte, not shiny. Items from McCoy's Floral Country line are not everyday finds! 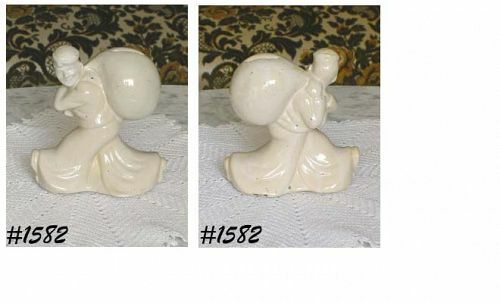 This listing has a chamber style candle holder that holds pillar or votive size candles. Candle holder has beautiful floral country decal -- unmarred -- and measures 6 1/4" diameter. It is in mint, unused condition! This McCoy candle holder is from the very pretty Floral Country Line! It measures 6 1/4" diameter, has a large round handle, and is designed to hold the pillar type candles. Candle holder is in mint condition -- no chips, no dings, no cracks, no crazing! I does have a tiny production blue dot under glaze -- McFlaw and of no consequence.